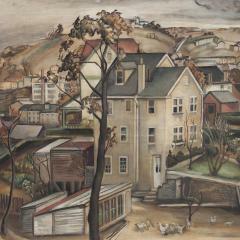 HL CHALFANT is proud to represent the estate of Grace Gemberling Thorpe Keast (1903-1997). A complete presentation of her work will be hosted at our gallery beginning March 3, 2012. 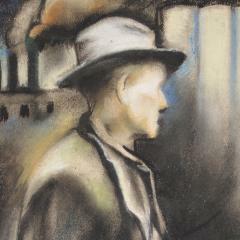 Each of those works will then be auctioned off at our upcoming auction entitled "10 | 10: The Collector's Auction". To learn more about Gemberling and her work, please visit our article reviewing her complete biography and catalog. Characteristic of much of Gemberling Keast's landscape work is the contrast of light leading to or following a storm. 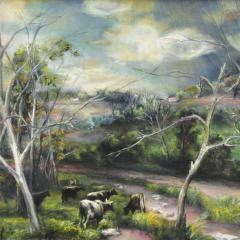 In this piece, dapples of light are scattered among cows in a pastoral setting.